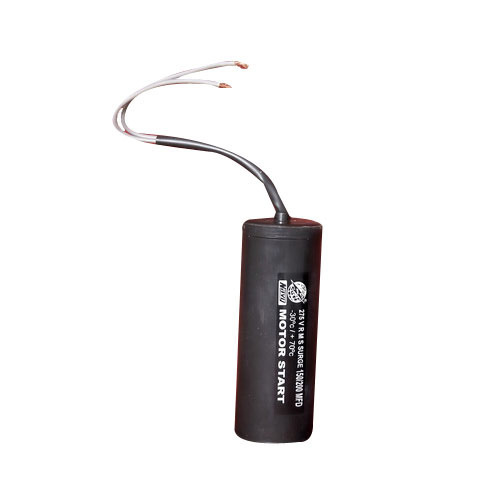 Motor Start Capacitors are heavy duty and the construction is burst-proof which are characterized by their high resistance to insulation and lowest watt loss in its class. Navy start capacitors briefly increase motor starting torque and allow a motor to be cycled on and off rapidly. Start capacitors are normally used in AC motors to aid in starting efficiency. Incorporated in the year 1984, we, Navy Electric India have come into existence as a sole proprietorship firm and are involved in manufacturing and supplying a superior quality products such as NK-1 DOL Starter, SASD Starters, Single Phase & Three Phase Control Panels, Electrical Meters, Capacitors and many others. Clients are fully satisfied with the products offered by us, as we manufacture them using premium quality raw material. We source material for developing these products from the most trustworthy vendors of industry, whom we have chosen on the basis of their market presence, financial status and other parameters. Apart from this, advanced production methodology has been implemented by us that further assist us in rising up with latest and inventive product range in the industry. Moreover, our range is packed using premium quality packaging material, in order to make safe delivery of bulk consignment. Transparent and fair business dealings are made with the clients, which have assisted us in garnering the huge clientele support.